Russia's Vladimir Putin watched advanced jets carrying a hypersonic missile he has touted as invincible scream over Red Square on Wednesday, days after the start of his fourth presidential term. 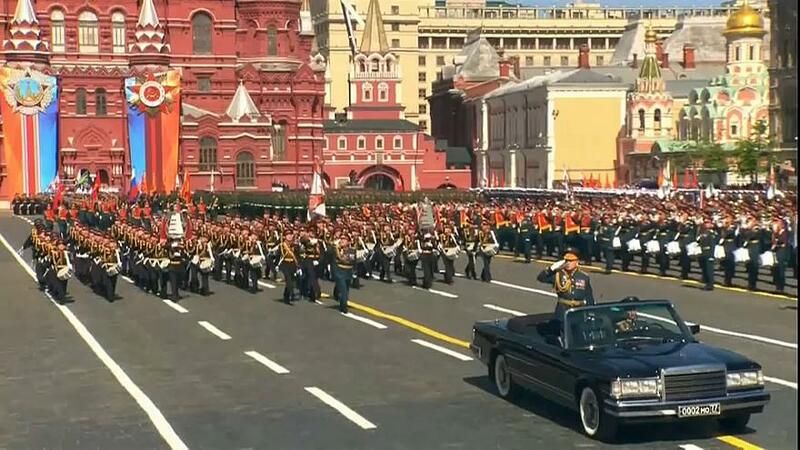 Part of an annual event marking the Soviet Union's World War II victory over the Nazis, Putin looked on as thousands of troops marched past him and columns of tanks rumbled across the famous square in a show of military might reminiscent of those displayed during the Cold War. Israeli Prime Minister Benjamin Netanyahu, in Moscow for talks on Syria, was also present, as was Serbian President Aleksandar Vucic.